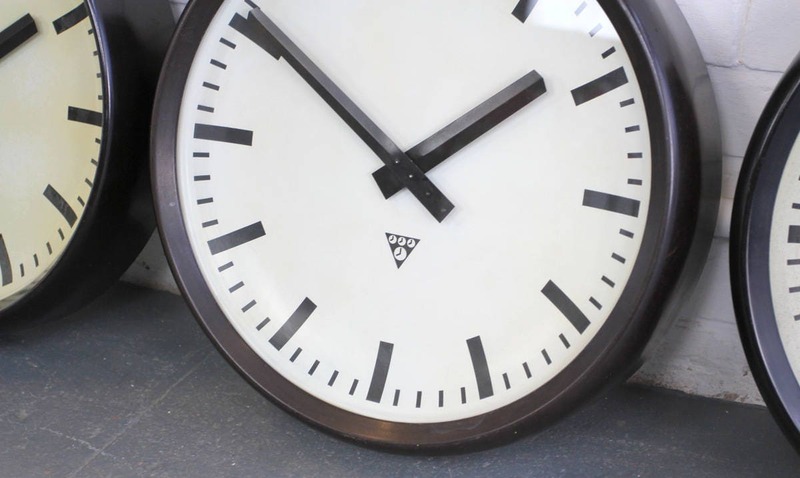 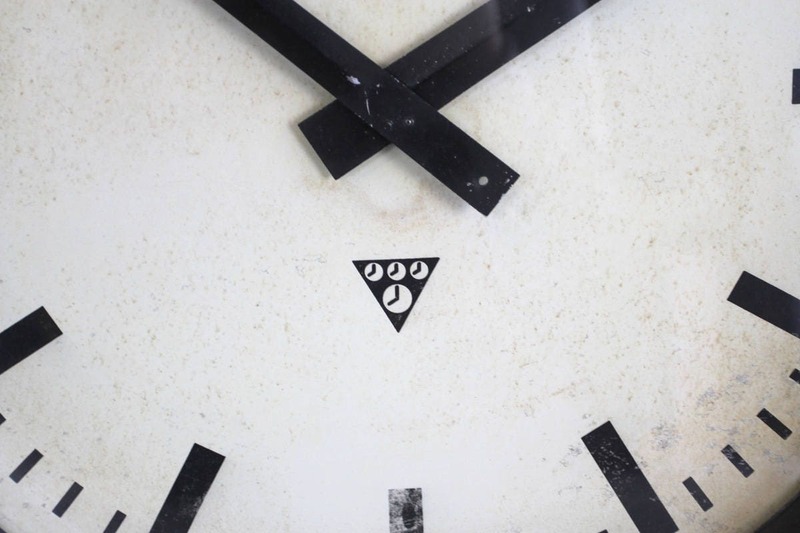 The Pragotron clock company in the former Czechoslovakia produced clocks that were mainly used in Czechoslovakia, Poland, and other eastern bloc countries. 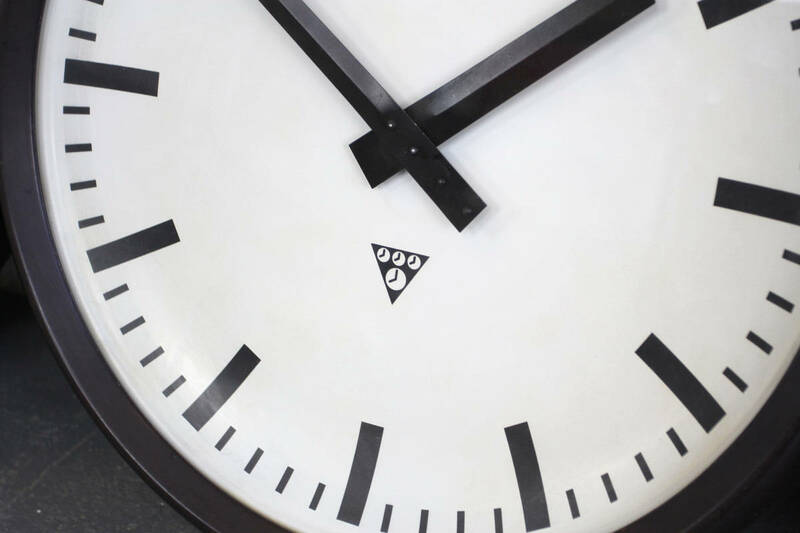 Most clocks in the schools, offices, airports, factories, and train stations in eastern bloc countries were manufactured by Pragotron. 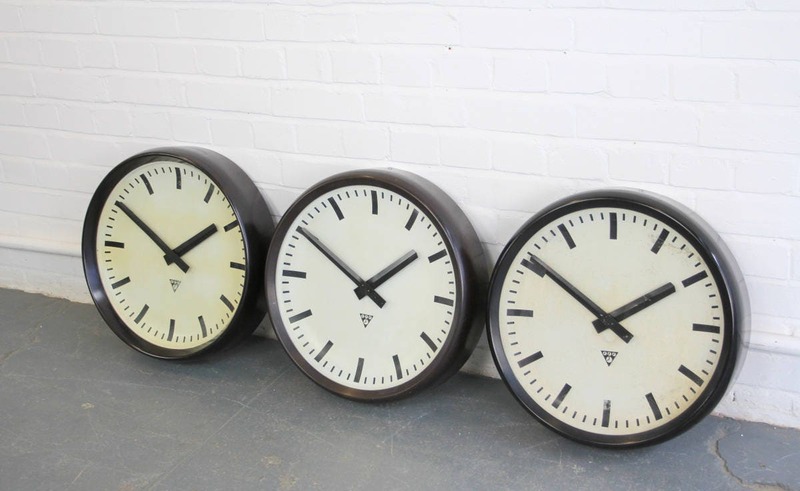 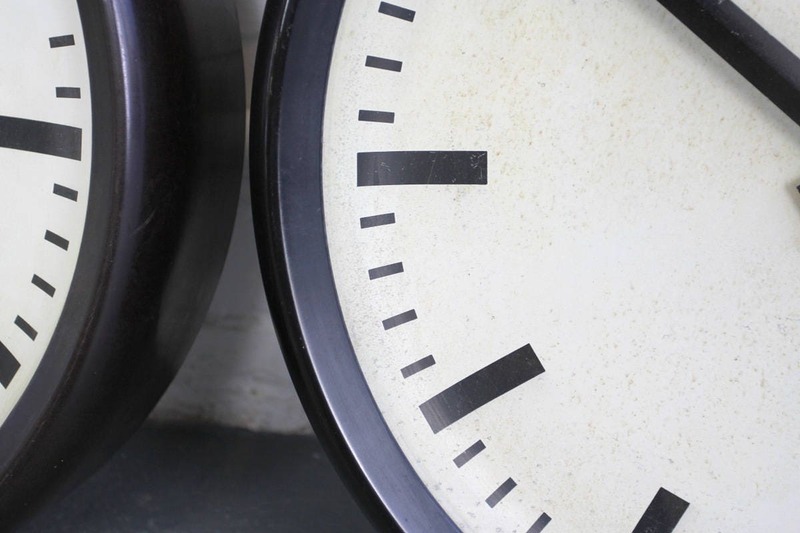 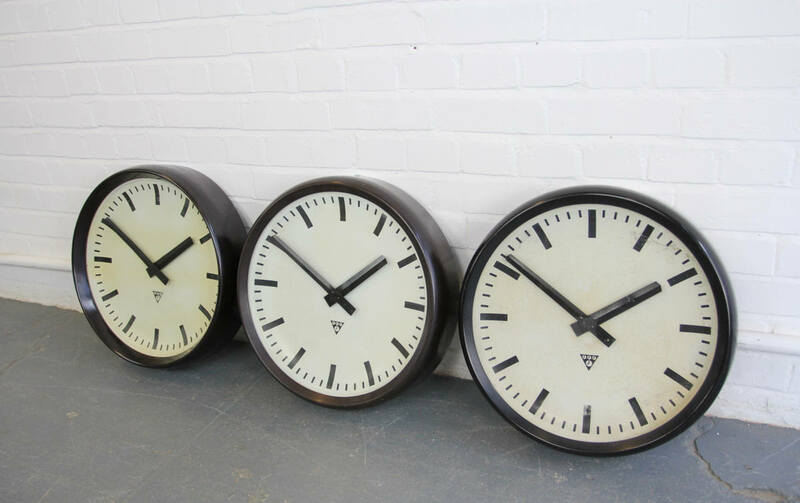 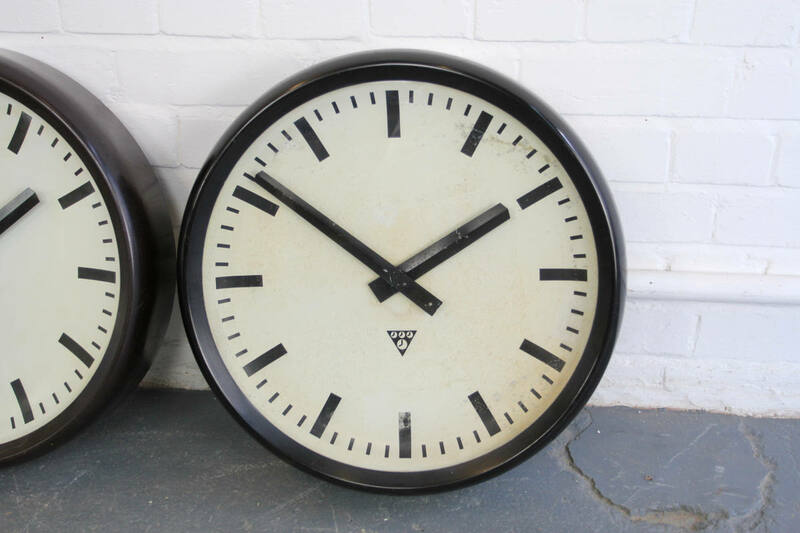 The clocks were originally designed to be "Slave clocks" that were run by one central "Master clock" so as to enable synchronized signals to mark, for example, the beginning and end of a school day or work shift. 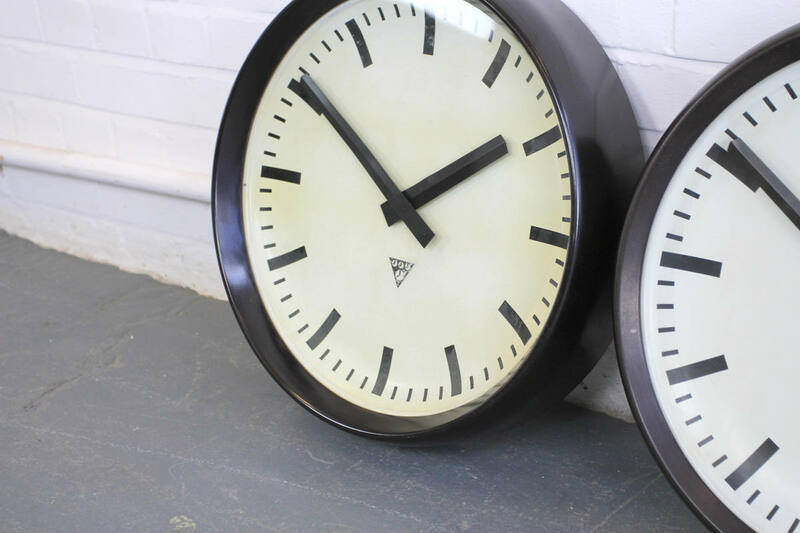 Their simple & sleek minimalistic designs have ensured they're a favourite with interior designers and still keep time in homes, offices, bars and restaurants throughout the world. 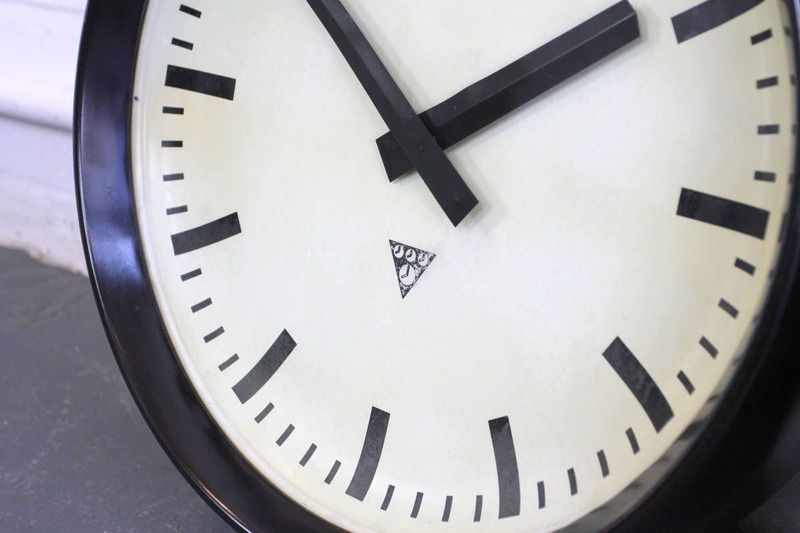 The clocks are fully restored and working, the casings may show signs of minor cosmetic wear.